All About Blinds is a proud provider of stunning, affordable Hunter Douglas shades and blinds. As the industry’s leading manufacturer of custom-made window fashions, Hunter Douglas shades offers a variety of benefits for your Jacksonville, Florida, home. From energy efficiency to quality design and craftsmanship, you can’t go wrong with this American standard. Hunter Douglas is one of America's best window treatment manufacturers and is known for providing 60 years of incredible service to suppliers and homeowners across the Nation. Roman shades are designed to help block out the sun ad shade a room. They stack up in evenly sized panels when a shade is lifted and create a smooth appearance when the shade is lowered. A roller shade may be all you need to darken a room. These types of shades are ideal because they’re not only effective, simple, and economical but they’re private and block out most light. Pleated window shades are ideal for home fashionistas that like to add a bit of sleek design to their interior style of their home. It’s a quality combination of high fashion, good value, easy installation, and convenient operation. Honeycomb shades are designed with a light filtering technology that allows them to be very energy efficient. If you’re looking for a way to make your home more eco-friendly, then this is the right choice for you. These styles of shades are often the most traditional and can blend well with any interior design. Hunter Douglas has a variety of options for these types of shades to allow for more customization in your home. 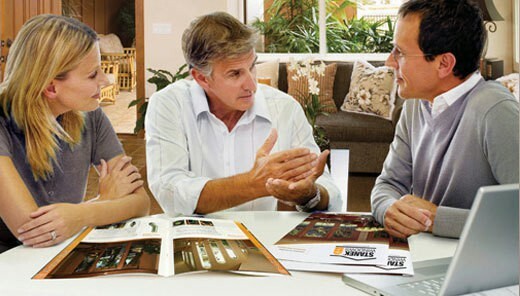 Hunter Douglas shade designs offer big energy savings to your Jacksonville, Florida, home energy bill. In fact, it was Hunter Douglas designers that invented the highly energy-efficient Duette honeycomb shades in 1985. The scientific approach to this design came as a response to the energy crisis in late 1970s. Since then, they have continued to enhance the design and science to this style by introducing the Duette Architella honeycomb shades. These offer even more energy efficiency thanks to the patented honeycomb-within-a-honeycomb construction. You can only get these types of shades and savings with Hunter Douglas. As a parent, child safety is a concern in every purchase you buy, including shades and blinds from our Jacksonville, Florida, showroom. Hunter Douglas has factored in the protection of your children into the design of their shades and blinds. Cordless manual, motorized operating systems, retractable lift cords, cord tensioners, and wand controls are all innovative lifting system options for enhanced child and pet safety. Hunter Douglas also has a collection of Vignette Modern Roman shades. These shades are designed with no cords across the back of the shade to eliminate potential hazards. Hunter Douglas is a different standard of quality. Unlike other manufacturers, they offer a lifetime guarantee on your investment. Should something break with your Hunter Douglas shades, they will fix it for you with no cost to you. Any defect or broken part not caused by normal wear and tear is their problem – not yours. Visit our showroom in Jacksonville, Florida, to learn more about the benefits of Hunter Douglas shades, or to view our collection from this manufacture.